Organizations can create events that have one or many volunteer positions. This can be accessed from your organization's "Management" area by going to the 'Positions & Events' page. If you're interested, take 4 minutes to view our video that gives an overview of how you can use Do Some Good to Recruit Volunteers and Gain Increased Support. HOW: You will first create the event and information about it before creating one or many positions for this event. Event photo (optional): volunteers are more likely to view events and positions that have engaging images. If you do not upload an image, this will default to your organization's logo. If you hover over the upload button, it will give you tips for best image size and format. Optionally, choose a 'Business Sponsor'. You can only choose 1, so you may choose the main/lead sponsor of your event. Their business logo will show up on your event page (as 'Sponsored by') and the event will not only be viewable from the get involved page and your organization's profile, but also from the business' profile. *The business must be a user of Do Some Good to access this feature. *Now that you have created an Event, you can create one or many volunteer positions for the event. Don't worry, all of this is editable once you publish, including the name of the role. Publish: For each of the positions created for this event: you can instantly publish them by pressing "Publish", so the entire community can see them on the "Get Involved" page. 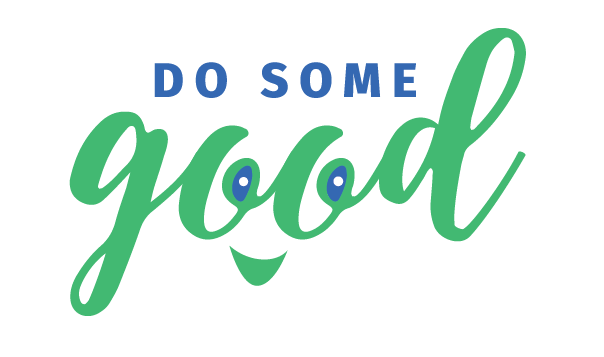 From the event and/or position pages, press 'Share' and choose 'Do Some Good'. This auto-creates a story post that will drive traffic and increase awareness about how people can get involved! When you are creating an event, you can easily create multiple positions for one event. Once you finish your first position and press "Publish"
When you are creating your last position, be sure to check "I'm done adding positions to this event". Choose "Positions & Events" and choose the "Events" tab. Within the event card, click "New Position"